Designed to easily slip into and pull out of backpacks. 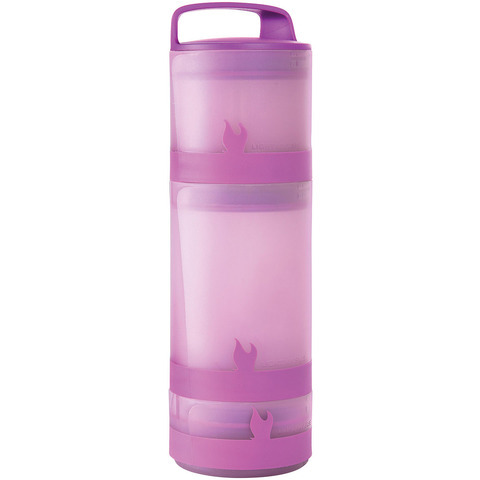 This container is perfect for the gear and food you need to keep dry and safe. The containers lock into each other and can be combined for a double-sealed lid that makes it waterproof and airtight. Versatile and adaptable to your needs. Bayonet lock allows quick and easy access. Includes: 1x container large (540 ml / 18,25 oz), 1x container medium (300 ml / 10,15 oz), 1x container small (112 ml / 3,75 oz), 2x lid & 1x handle. Total Dimensions: 28.8 cm x 8.7 cm.